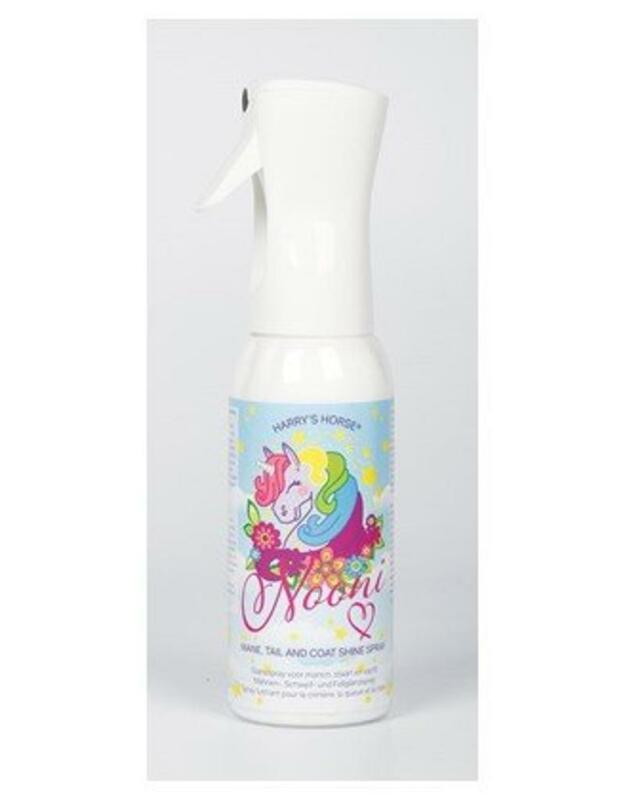 Mane, tail and coat shine spray with a highly effective dust and dirt repellent action. The newly developed silicone oil micro-emulsion makes the hair soft and naturally shiny. The hair is tangle free and easy to comb, it keeps its volume without feeling artificial. The poverful dust and dirt repellent actionand tangle free effect lasts for several days. Dermatologically tested and approved, for intensive but gentle care.